Just like a revived trend, it seems like the Backstreet Boys are always back, with APL Photography capturing the boy band at the annual Beautiful Girls Fashion Lunch at Flemington. 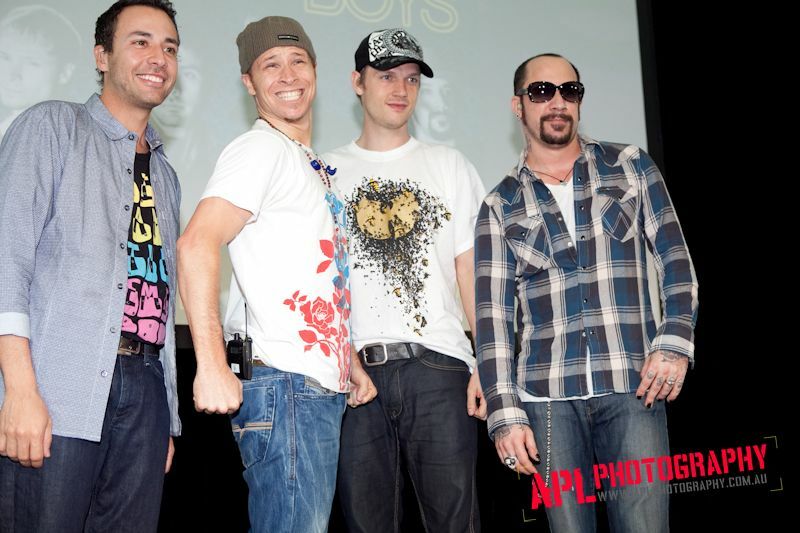 The internationally acclaimed boy band entertained 600 fashion forward females, with the boys themselves bringing back retro-inspired trends of printed tees, caps and jeans, sported by the band when they first came about in the early 90s. This was the first performance by the band since arriving in Australia and before commencing their Australian 2010 Tour, ‘THIS IS US’. APL Photography also snapped the Myer fashion parade, which showcased the Autumn/Winter racewear looks, and featured Myer Racing Ambassador Rebecca Twigley and Menswear Ambassador Kris Smith, who were also captured by the APL flash. Chelsea Butler and Scott McGregor, Myer Fashions on the Field couples competition ambassadors, were also at the event. Anthony Licuria also snapped up Lauren Phillips, Rhys Uhlich and Sarah Madden, in true fashion and celebrity-spotting season.